Are you looking for an indulgence like no other that you can easily fit into a busy work schedule, or can book around childcare and school times? 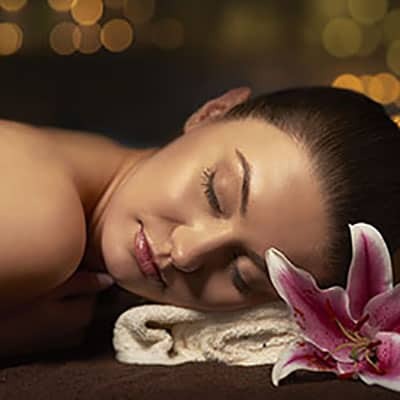 Well then, The Belmore Centre’s Mini Indulgence Pamper Package is just for you! Taking 1 hour 30 minutes, this package offers availability and pampering all rolled into one! Combining three incredibly pampering treatments you will be treated to a 30-minute Back Massage to relieve any stresses and tensions caught up in your back and shoulder muscles. Followed by an unwinding Clarins Mini Facial for a further 30 minutes your skin will be replenished and revived leaving you with a visibly vibrant, silky smooth complexion. A true pamper session has to include a nail treatment and the Mini Indulgence Package is no different! Finishing with a File and Varnish to tidy up any tired looking nails, a fresh varnish finish will leave you looking and feeling a million dollars after your Mini Indulgence Package with The Belmore Centre.